I don’t think I have wanted to go to Buenos Aires more after seeing the first phase of their lineup for Ultra! I mean, this lineup is absolutely huge! If this is any indication what festival season is going to be like in 2015, I promise you that you will want to attend every festival possible. 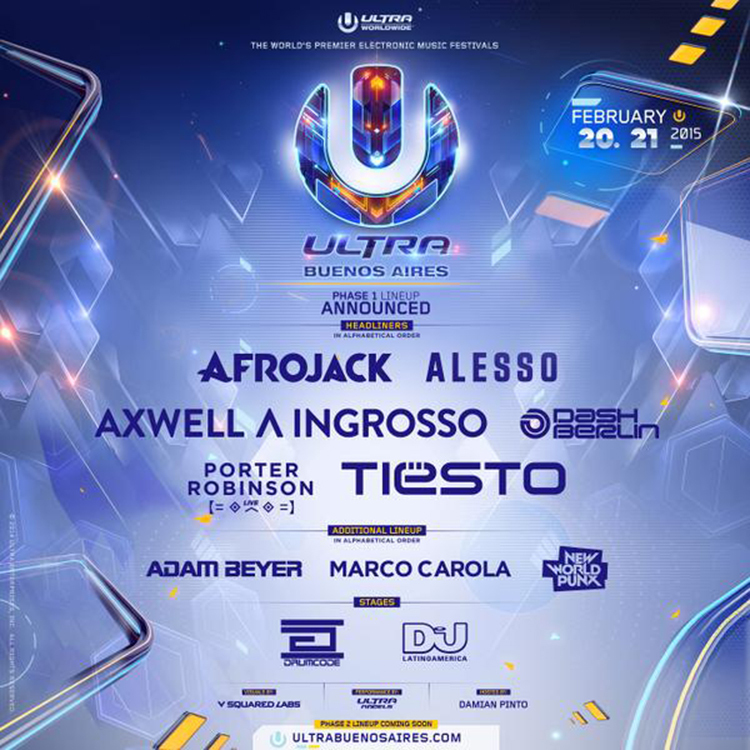 First off, they announced headliners that include Axwell Λ Ingrosso and Porter Robinson as well as others. This will easily blow any other plans you have on February 20th and 21st. Check out the list of artists below!